Timothy Niwamanya provides an introduction to Ousmane Sembène, the first true African filmmaker and a legend of Cinema. With an impressive list of titles in the realms of both literature and film, it is easy to see why the late Ousmane Sembène, from Senegal, is a mainstay in the pantheon of great African artists. His oeuvre consists of seven novels, a short story collection and eleven films made over a period spanning close to half a century- you would be hard-pressed to find another African artist with a better résumé! He is affectionately referred to as “the father of African cinema”, even though he never liked being referred to by that title. In the tradition of the Griot (folk storyteller) of West Africa, Sembène established himself over the course of his career as a prominent voice on the continent, addressing issues of racism; social and economic inequality; the conflict between traditional Africa and western civilization; religion; and post-colonial disillusionment. In spite of his legacy and widespread impact, which looms heavy over the aesthetics of the continent’s cinema, he has slipped into relative obscurity, with his work overlooked by the vast majority of Africa’s contemporary film audience. Perhaps the current crop of film-goers on the continent are more educated and more informed about the social, political and economic issues faced by Africa, and would rather opt for the escapism of Hollywood blockbusters instead. However, while his films may have been relegated to the status of ancient relics, they remain, in my opinion, the blueprint from which the filmmakers who followed Sembène have drawn to explore various aspects of the African experience. Courtesy of Close-Up Film Centre. Ousmane Sembène, the son of a fisherman, was born in Zinguichor, Casamance in Senegal in 1923. He worked with his father until he was 15, quitting after numerous bouts of sea-sickness. He received limited formal education but was involved in Serer traditional customs as a cult servant before joining a Koranic school. He later joined a French colonial school, but was expelled for a confrontation with his principal- a precursor of things to come. He decided to head to present-day Senegal’s capital, Dakar, where he worked a number of menial jobs before joining the Senegalese French army during World War II. After his stint in the Corps, he migrated to Marseille, France where he worked the docks. It is in Marseille where Sembène had his spiritual and political awakening. As a member of the French Communist Party, he had access to their library and frequented it, consuming fictional works by writers like Jack London, along with the more philosophical stylings of Karl Marx, in equal abandon. Sembene’s first foray into creativity was through literature, with his most important work from this time in his career being God’s Bits of Wood. The narrative of the book weaves together multiple characters across several locations highlighting the ability of a unified people taking a stand and ridding themselves of oppression. The book was released in 1960, the same year his homeland Senegal achieved independence. 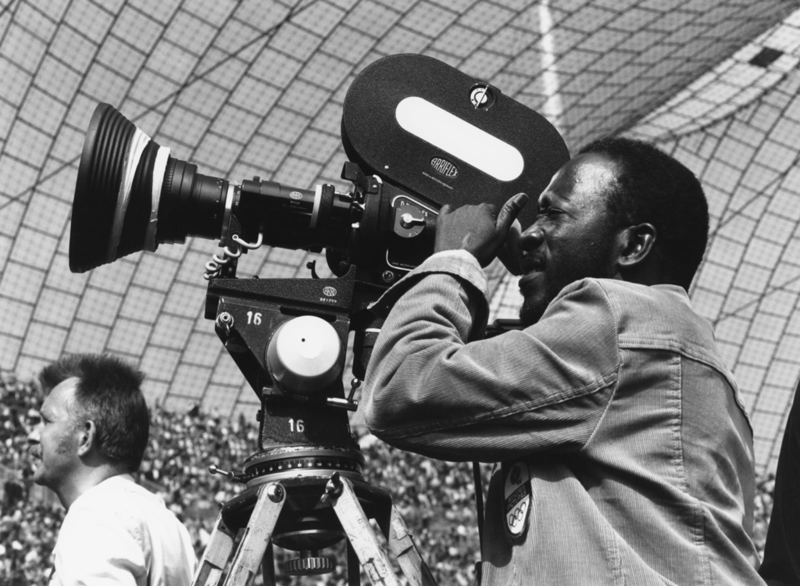 Following Sembene’s transition into filmmaking, he ended up adapting some of his literary works for the big screen and proliferating the ideas expressed in his writings in some of his other films. His first feature film, Le Noire de… (Black Girl), is based on a story from his short story collection, while The Money Order and Xala were adapted into films in 1968 and 1975 respectively. Some of his other major literary works include The Black Docker, Oh Country my Beautiful People, The Harmattan, and The Last of the Empire. Most of his books were recently translated into English, having been written in his native Wolof and French- their relative inaccessibility is perhaps the reason they are not as popular in English-speaking Africa as the works of his contemporaries such as Chinua Achebe, Okot P’Bitek, Wole Soyinka and Ngugi wa Thiong’o. 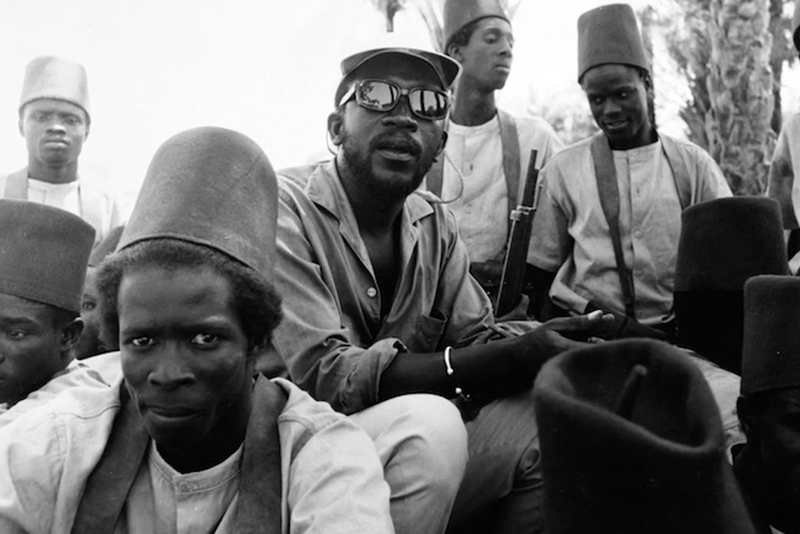 Still from Borom Sarret (1963), Courtesy of Wiriko. As the winds of change swept Africa in the 1950s and 60s, socialist ideologies drove the various Independence movements across the continent. The Soviet Union saw it fit to support a variety of African intellectuals with scholarships and residencies. Ousmane Sembène was one such beneficiary. Already established as a key literary figure, he studied for a year at the Gorky Film Studio under the tutelage of reputable Soviet director Mark Donskoy. 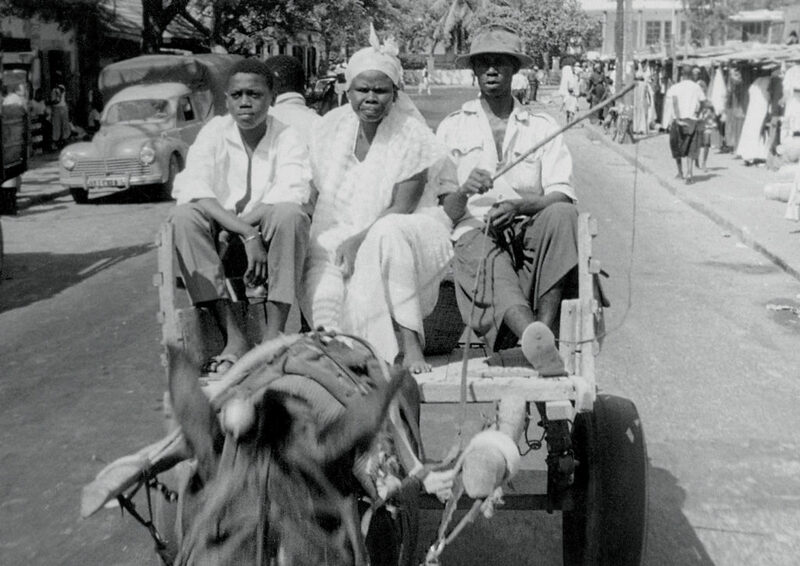 On returning home, he directed the first of two short films, Borom Sarret, in 1963. Up until that point, Egypt had developed a vibrant film industry, with legendary Egyptian director Youssef Chahine already well-established by the 60s. Other countries in Africa’s Arab North had also taken steps to kick-start their film industries. Another African filmmaker of Beninese/Senegalese descent, Paulin-Soumanou Vieyra, had directed the 1955 short film Afrique Sur Seine. The film, often considered to be “ethnography in reverse”, explored the experience of African intellectuals living in 1950s Paris. 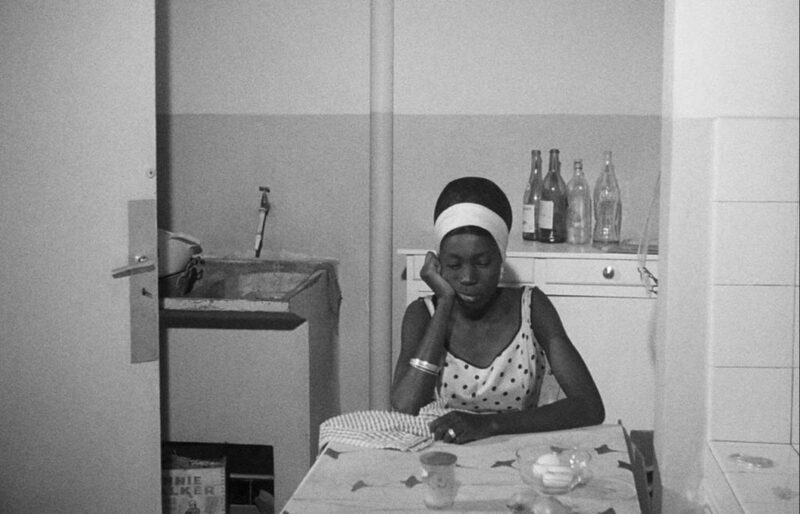 Still from Black Girl (La Noire De…) , Courtesy of The Museum of Fine Arts, Houston. However, Sembene’s first short is held in higher regard as a watershed film in Africa’s cinematic history for being the first film directed by a black person on the continent. Borom Sarret chronicled a day in the life of a cart driver in Dakar going through the motions of his existence while questioning the social and economic issues that seem to be weighing heavily on him and those in his community. The narrative, told from the highly subjective point of view of the protagonist, gave viewers a preview of one of the major themes that would occupy most of Sembene’s future work: Africa’s disillusionment after the euphoria of Independence faded. 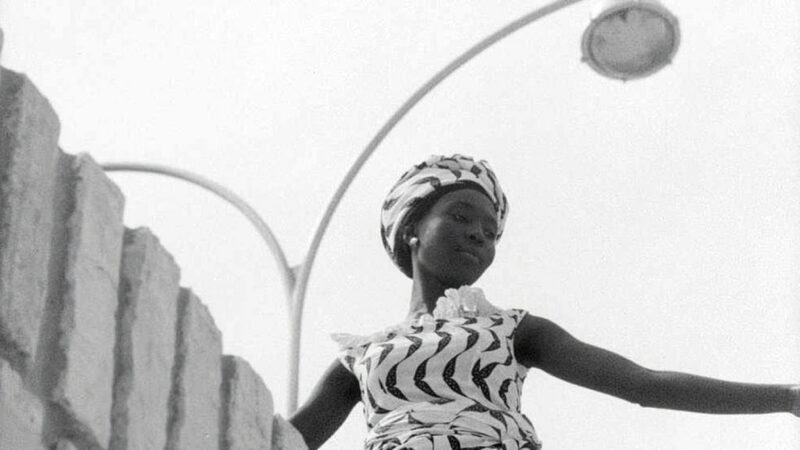 His second and less known short made in 1964, Niaye, tells the story of an adolescent girl shunned by her community because of her unplanned pregnancy. With this short film, Sembene was able to explore issues concerning women in Africa as opposed to the more political rhetoric of a male-dominated arena that filled his prior work. 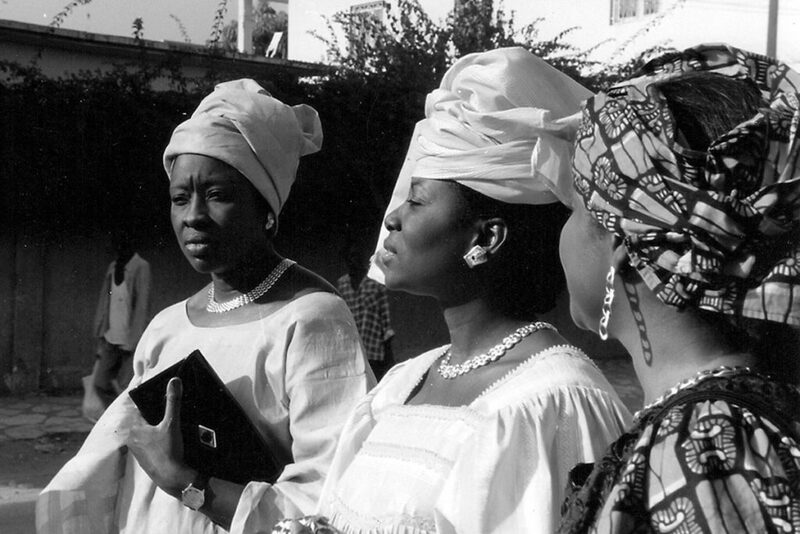 Still from Black Girl (La Noire De…) , Courtesy of Film Society of Lincoln Center. 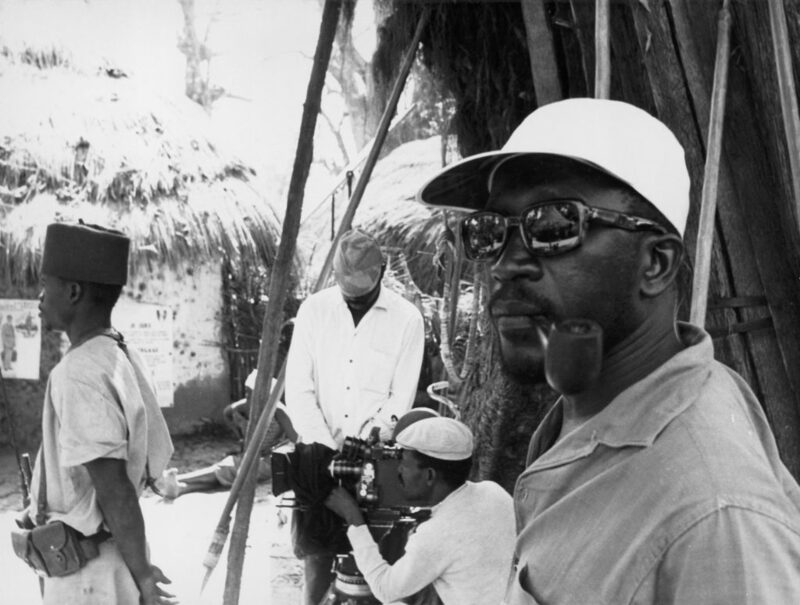 In spite of the lack of adequate funding, crew expertise and proper film distribution avenues for his films, which were intended for an African audience, Sembène’s desire to realize his projects out-weighed his limitations. His first feature film, Le Noire de… (Black Girl), followed in 1966 and with it, he again attained a milestone- the distinction of directing the first feature-length film by a black African. Black Girl chronicles the trials and tribulations of Diouanna, an African woman who migrates to France for employment only to be hit hard by the realities of being a black person in a racist society. The film remains remarkably relevant to this day, as it mirrors the contemporary African immigrant crisis and the rise of populist movements in more developed countries that make them less hospitable towards immigrants. Black Girl is widely regarded as a masterpiece and perhaps the most cited of Sembene’s work by global film historians. The film catapulted Sembène into celebrity and was invited to be a member of the main jury at the 1967 Cannes Film Festival alongside illustrious names such as Soviet director Sergei Bondarchuk, famed musical director Vicente Minelli, Hollywood actress Shirley Maclaine, and Hungarian auteur Miklos Jancso. Still from Mandabi (1968), Courtesy of Filme Aus Afrika. 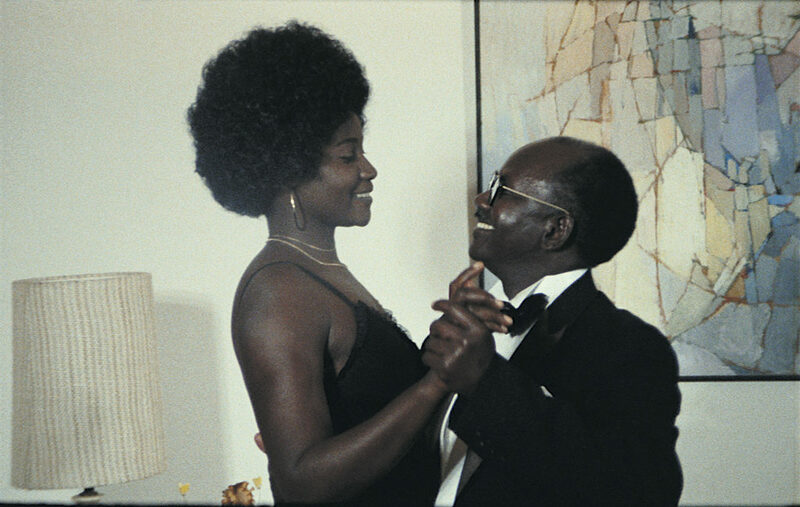 Sembène followed this success with the first film in his native Wolof language in 1968, Mandabi (The Money Order). The deceptively simple film follows an illiterate African family man trying to collect a sum of money sent by his nephew, working in a foreign country, only to be met with a number of bureaucratic stumbling blocks. The film dissected the realities of neocolonialism on the continent and decay at the heart of a number of African institutions. Emitaï was Sembene’s next project and was completed in 1971 but banned for five years. The film depicts a women-led revolt in a Diola village after the French conscript their male population to fight for them during World War II, before trying to infringe on their rice reserves that are key for the survival of the village. The film was banned by the Senegalese government because of the unfavorable portrayal of the French, who they enjoyed warm relations with. Still from Xala (1975), Courtesy of Kalamu ya Salaam. The ban on Emitaï was what probably turned the African auteur’s focus towards the political elite, a fortunate change of direction for fans of Sembene’s work. Xala, his magnum opus and my personal favorite of his films, was released in 1975. The film based on his book of the same name, a Wolof word for male erectile dysfunction. The film, that serves as a scathing critique of the African bourgeoisie, tells the story of El Hadji, a wealthy businessman taking on a third wife. On failing to consummate his marriage he becomes suspicious of his first two wives, but later realizes it is the disenfranchised members of his community who put a hex on him. The film underlined the greed and incompetence of the vast majority of African leaders who served the interests of their colonizers more than they did the needs of their own citizens. Even more controversial than Xala was his next film, Ceddo (The Outsiders), released in 1977. Set soon after the French had cemented their colonial rule in Senegal, the film follows a band of locals in a kingdom, who actively resist being converted to the Islam and Christianity, and go as far as defying and killing their King, who served as a puppet for the foreigners. The film was banned by the government of Leopold Sedar Senghor and Sembène did not get to make another film for over a decade. Still from Camp de Thiaroye (1988), Courtesy of Slant. After a decade of trying but failing to get projects off the ground, Sembène was involved in a scandal that involved him “stealing” a film from a much younger colleague, Boubacar Boris Diop. Sembène, who was put in charge of a film fund to help young Senegalese filmmakers, used the resources to make his next film, Camp de Thiaroye, in 1988. The idea of making a film on the Thiaroye massacre– in which Senegalese soldiers who fought for France during World War II revolted against French authorities because of delayed pay and poor living conditions, before being killed by French forces- was originally Diop’s, and Sembène acknowledged it. 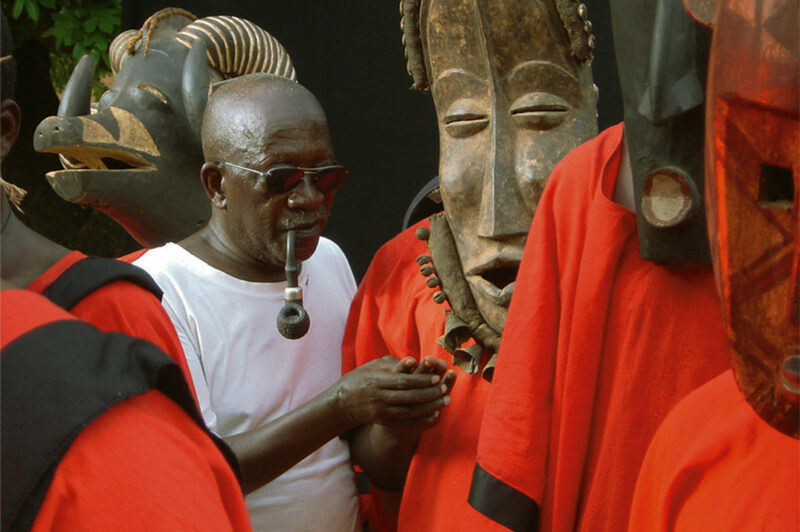 In a clip from an interview in the 2015 documentary film Sembène!, the veteran director claimed: “I would sleep with the devil to make my films”. The scandal is a notable blemish in a respectable career, and in some ways undermines his status as the “father” of African cinema- he took away from the next generation that he was supposed to be fostering. Perhaps the pent-up frustration of not making any films in the previous decade forced him to take such a Machiavellian approach. However, Camp de Thiaroye was released to critical acclaim across the world and is considered among his most complete works as a filmmaker. 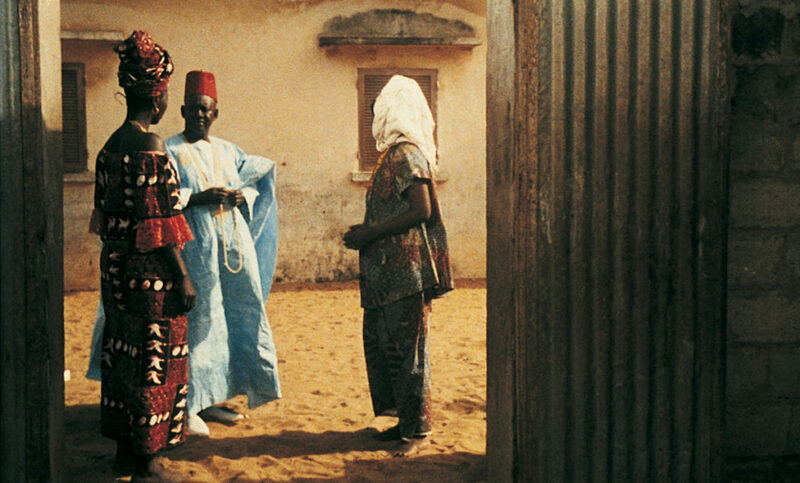 Still from Faat Kiné (2000). Courtesy of Close-Up Film Centre. After the success of Camp de Thiaroye, Sembene directed only three more films over a 15-year period before he passed. Guelwaar (Noble One), made in 1992, revolves around the burial of a prominent and accomplished member of a community by the name of Pierre Henri Thioune who is a devout Roman Catholic and after his body goes missing is discovered to have been buried in a Muslim cemetery. The divisions of the people in the film along religious lines, and the unearthing of murky aspects of the deceased’s true nature, make this film perhaps one of his most autobiographical. Sembène, who was nearly 70 years of age at the time, explored his usual preoccupations of the conflict between religious systems and neocolonialism, but in many ways one could say that through the character of Pierre Henri Thioune he took an introspective look at his own contradictions as a man, and how the legacy he had built up over time was in many ways fallible. His follow up film, Faat Kiné, was made in 2000. The eponymous character is a woman who has two children out of wedlock, something widely shunned in African society. She is independent, runs her own successful business and more than adequately caters to her children’s needs. In spite of being a success story, she constantly faces pressure to find a man to settle with. His penultimate film highlighted contemporary African feminism and the need to rethink the role of women in Africa’s society. He continued with this trend when he made his final film, Mooladé, in 2004. The film that was the first he had made outside Senegal since Black Girl is set in Burkina Faso and revolves around the cultural practice of Female Genital Cutting among the Bambara people. The film takes a firm stance against the practice, bringing the Western World’s attention to the issue in a way that no one else had managed to do, and a number of other films have since been made on the issue. The film premiered in the Un Certain Regard section at Cannes that year and Sembène won the top prize in the category. After years of debilitating health issues, Sembène passed away in 2007 at the age of 84. Since then, his work has been the subject of retrospectives and film analyses that have emboldened his towering legacy as a filmmaker across the world. In Africa, he is held in high regard by a small subset of people, with his work not widely known by the vast majority of Africa’s populace. This could be due to the lack of proper film distribution, which meant his films were only seen by Africa’s intelligentsia at festivals and exclusive screenings. Sadly, this is still the case today- the average African film enthusiast is more likely to have seen Rambo, or a Bruce Lee film, than they are to have seen the work of Ousmane Sembène. His impact cannot be overlooked, and my hope is that one day the great African auteur receives the recognition of the people across Africa, who he spent his entire life trying to give a voice and engage with through his work.